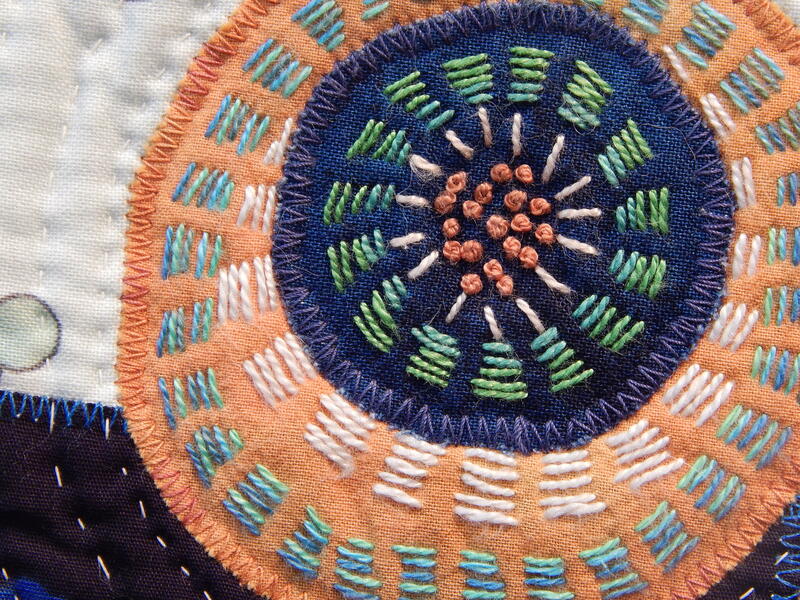 Kantha is a traditional Indian method of stitching used to make quilts, usually out of old saris. 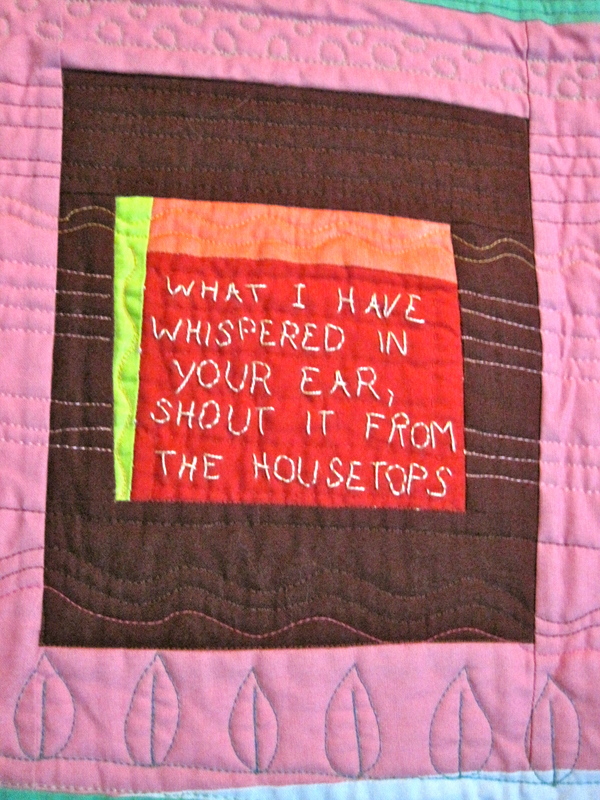 It is simply a repetitive running stitch. Learn how to use this stitch to make wonderful circles, and add a few other simple stitches to enhance it if you like! Learn a simple fool-proof (and fun) way to make a double wedding ring quilt, using your zig zag stitch. 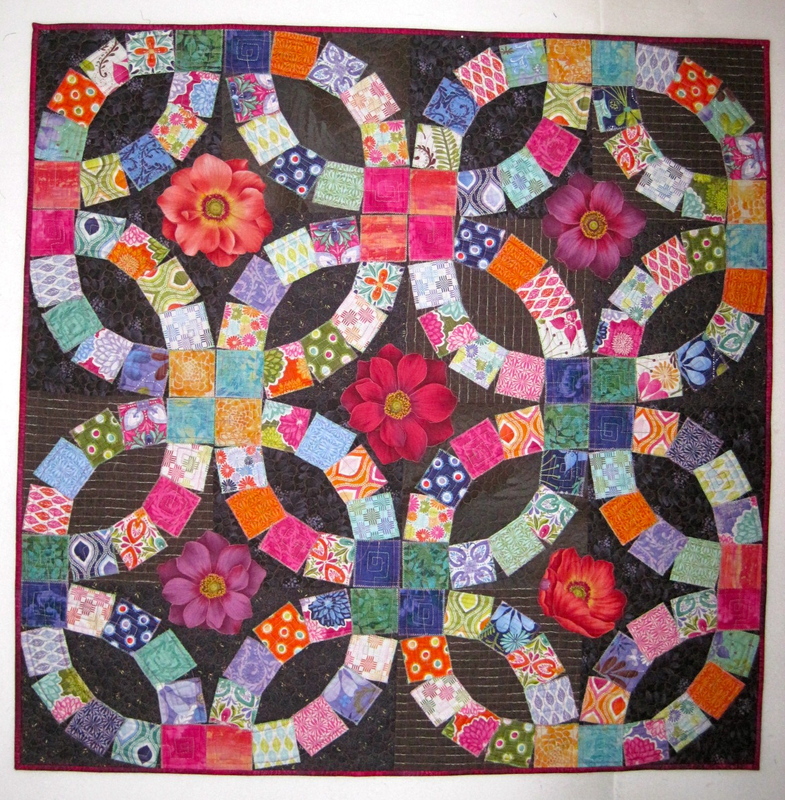 This technique can also be used to make other complex pieced blocks much simpler. 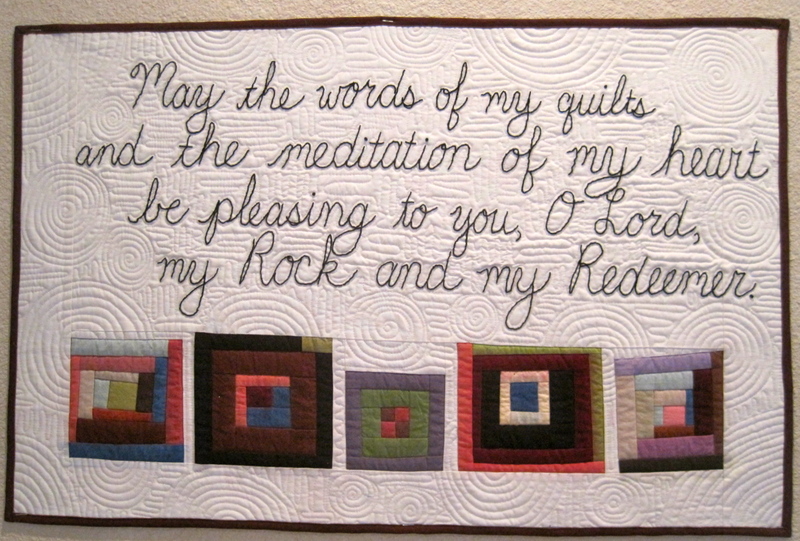 Wording can be added to your quilt by hand or by machine. Come to this fun workshop to discover how simple words can be. Contact Debby at dschnabel@volcano.net, or by phone at 209-625-0075 for more details on workshops, pricing, and availability.